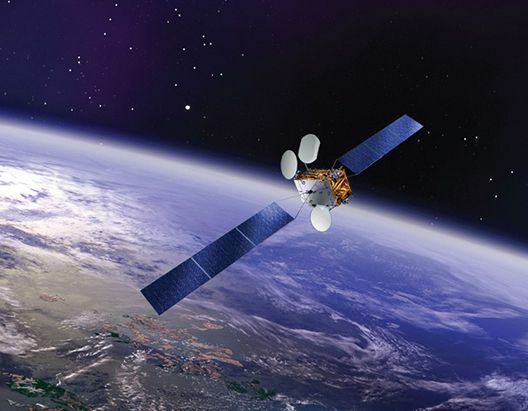 Azerbaijan, a country leader in the region for the development of the IT sector, has launched work on designing Azerspace-2 telecommunication satellite. Dunay Badirkhanov, Satellite Engineering and Operations Manager at Azercosmos, said that the company’s employee is visiting the American Space Systems Loral (SSL), which designs and builds satellites and spacecraft systems for commercial and government customers around the world, for this reason. Azerspace-2, geostationary satellite, is designed to provide digital broadcasting, Internet access, data transmission, creation of VSAT multi-service networks, and etc. The second satellite program will be financed by the Export Development Canada export credit agency. Noting that the launch of the satellite is scheduled for 2017, Badirkhanov said Azerspace-2, whose service area will cover Europe, Southeast Asia, Middle East and Africa, will be placed at the orbital position, leased from the Intelsat international satellite communications organization. Today, Azercosmos provides telecommunication services through the Azerspace-1 satellite, launched on February 8, 2013. Eleven days later the satellite reached its target orbit - 46 degrees east longitude, used in conjunction with the Malaysian Measat Satellite Systems company. Service area of ​​Azerspace-1 includes Europe, Africa, Central Asia and the Middle East. Such countries as Malaysia, Russia, Germany, Ukraine, Egypt, Georgia, UAE, Lebanon, Cameroon, the United Kingdom, Kyrgyzstan, Tajikistan, Estonia and Belarus use Azerspace-1’s services. The central control center of the satellite is located on the 37th kilometer of the Baku-Shamakhi highway, while the backup control center on the territory of the Nakhchivan Autonomous Republic. Badirkhanov earlier told Trend that Azerbaijan’s Ministry of Communications and High Technologies has conducted serious work for training of skilled personnel in satellite management. Stressing that the main emphasis is put on internal staff capacity, he said at the moment the satellite is controlled exclusively by local staff. “Along with this, we attract foreign experts to improve the capacity of our staff,” he added. Badirkhanov further noted that a special technical group is watching low-orbit satellite Azersky. The group is responsible for planning the mission and processing of the images received from the satellite. "Azersky resources intended for modeling of digital maps, transport infrastructure monitoring, environmental monitoring, urban planning, crops monitoring, evaluation of pollution, safety, military use and many other things," he noted. In 2014, Azerbaijan and France signed an agreement that gave Azercosmos permission to provide commercial services on remote Earth sensing through the Azersky. Manufactured by Airbus Defence and Space, the low-orbit satellite is expected to operate for 12 years. Azersky allows to survey the 6-million square kilometers of Earth's surface daily. In fact, it means that Azerbaijan’s territory is being monitored every day. Moreover, Azercosmos has a call-center to support customers, who can apply regarding different issues on the services provided by satellite operator. Azercosmos is the first satellite operator in the Caucasus. The company's strategic development plans include the launch of a second telecommunications satellite Earth observation services in the coming years.